This infectious song about the heartache of love took Jordan Luck roughly five minutes to write in an east London squat. It was the band's first release after a brief name change to Amplifier, then a shortening to The Exponents. Despite its unlikely origins and subject matter, the song has become an enduring Kiiwi sports stadium sing-along — rivalling Dave Dobbyn's 'Loyal' for unofficial national anthem status. 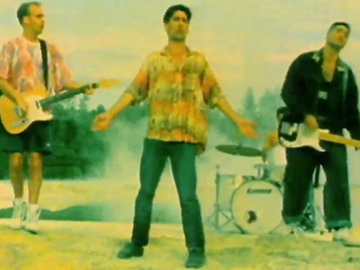 The song's simplicity is matched by director Kerry Brown's video, which allows the band to do what they do best, in scenic spots including Waiotapu hot springs.